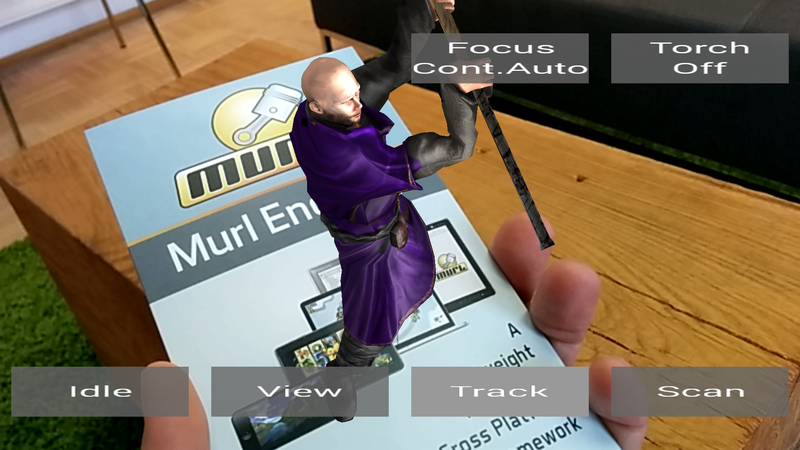 A simple augmented reality demo created with the Murl Engine. 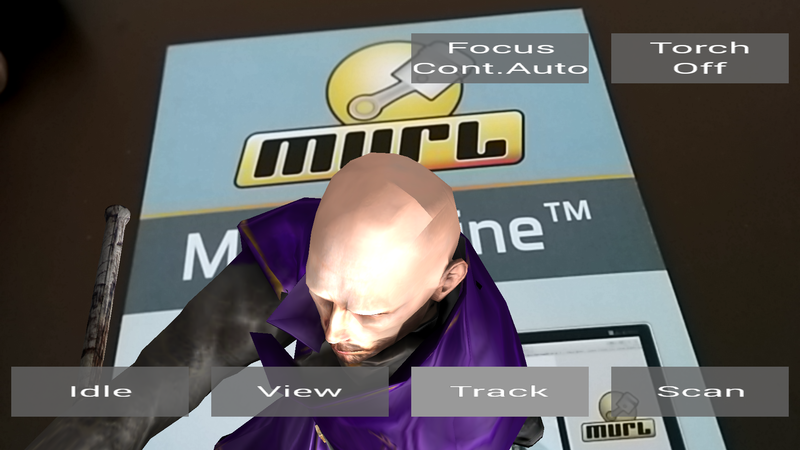 - Uses the Murl Engine flyer as a predefined trackable. - Supports creation of new trackables on the fly. 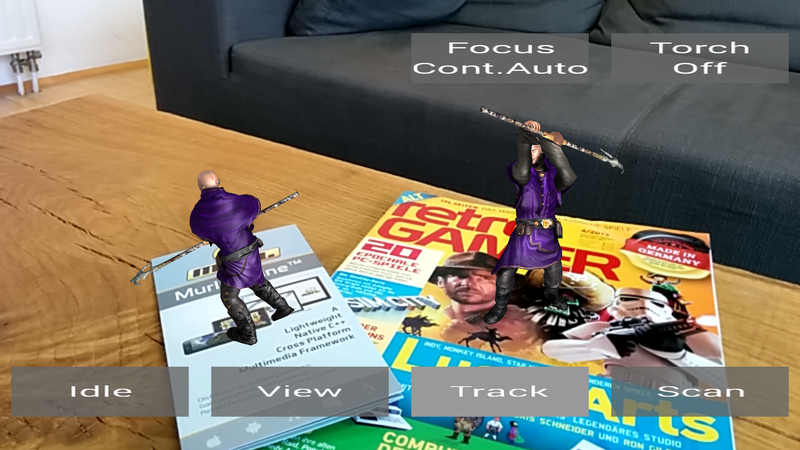 - Supports multiple image targets simultaneously. 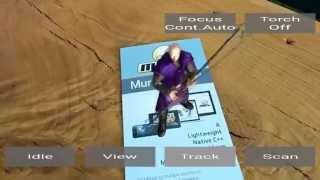 - Supports multi-targets (e.g. box). 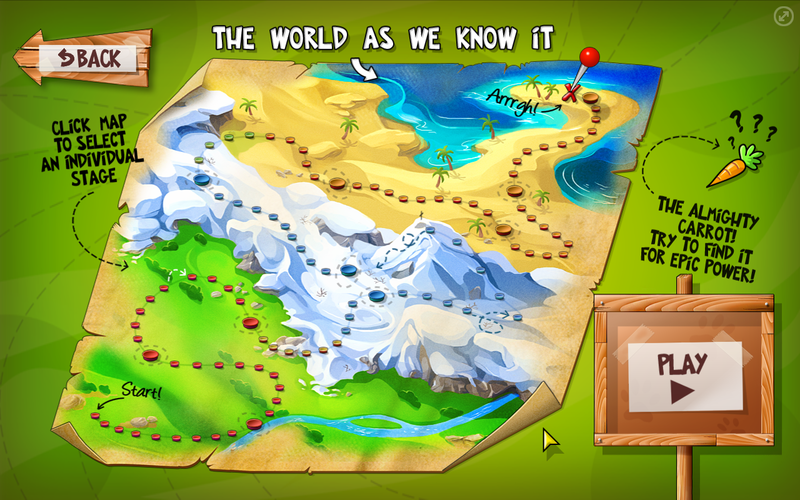 - Uses 3-D rendering and skeletal animation.